Watching your mom or dad age is never easy. But as daily tasks and activities become increasingly difficult, one of the best ways you can help your loved one maintain independence is to partner with a compassionate, professional in-home caregiver. Choosing the right home care provider isn’t an easy task, however. With the many home care agencies available in Ohio, how can you know which one will give your family member the best care while also treating them with the respect and compassion they deserve? Get recommendations. Talk to healthcare professionals in the field, your mom or dad’s doctor, and any friends or family members you know who have worked with a home care agency previously. Ask them which agencies they have had the best experience with and find out what they think about each provider you plan to contact. Look online for reviews and ratings. Do they have a lot of reviews? Look for independent review sites that have verified reviews such as bestofhomecare.com and look for agencies that have awards. See if they are accredited through the BBB and if they have an A+ rating. Check references. The agency should supply a list of references such as health agencies, rehabilitation facilities, social workers and other providers they have worked with. Call these references and ask them whether they regularly refer patients to the agency and what sort of feedback they have heard from clients. Consider the agency’s technology innovation. Does the agency have an online portal where you can view care plans and communicate with caregivers? Do they respond to communication quickly? Can you access information about your loved one via mobile? These are all useful ways to stay informed about your mom or dad’s care. Understand their process. Will you have the opportunity to interview caregivers? What happens if the caregiver isn’t a good fit? 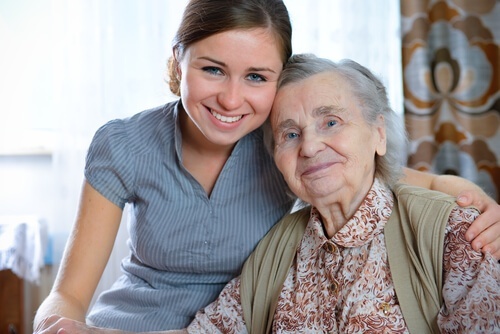 Will the same caregiver serve your loved one at each visit? How does the agency provide accountability for quality of service? 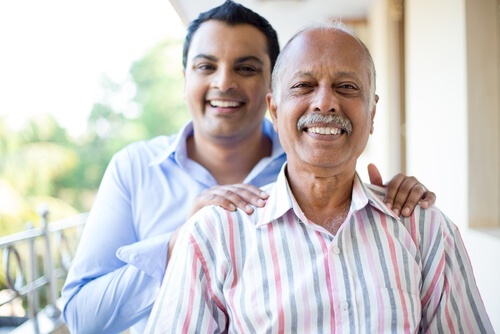 We understand the importance of finding the right caregiver for your family member. The questions included in this guide will help make this process as straightforward and informative as possible. Give your mom or dad the gift of independence at home with quality, compassionate in-home care.